Naturally working on a lot of web application projects in multiple languages from Java EE to PHP to websites to mobile applications, one common thing that we see time and time again is the lack of thought that goes into design patterns for websites and web applications. Often having to pick up projects at this point, generally when they have already gone seriously wrong, we can’t but help think that there must be a better way to prevent these issues we see through sharing best practices to ensure scalable web applications are built and can be maintained with ease. 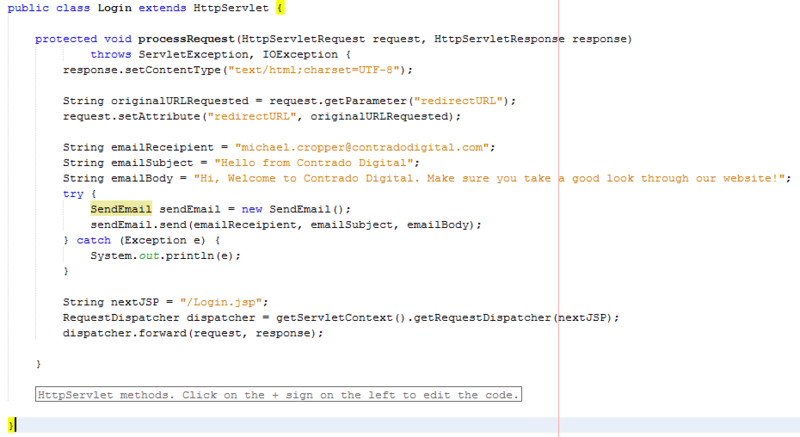 Specifically for this blog post we are going to look at the Model View Controller MVC design pattern. If you are working in any form of software development, website development or web application development, I’d argue that this is one of the most powerful design patterns to get your head around as when you fully understand the relatively simple approach behind the MVC design pattern this allows you to think about the structure of your code and project before jumping in and writing a single line of code. By taking this time up front, I can absolutely guarantee that this will save you an unbelievable amount of time working on your application over time and most importantly, for the businesses you are working with this will help to ensure bugs, features, functionality improvements and tweaks can be delivered much faster with fewer errors. So let’s just take things back a step as if you haven’t been working away on larger web application projects previously, you may not even be aware of the MVC design pattern, hopefully you are away of what design patterns actually are if you are working in web application development though, if not, then I recommend going on a date with Amazon to learn about design patterns. Ok, so it’s a little more complex than that in the background, but that is MVC explained in the simplest way. I’m not going to talk about the theory of MVC to the n’th degree, instead I’m going to look at the practicalities of MVC while dabbling into the Single Responsibility Principle design pattern and how the two link together extremely well. For the purposes of this blog post, we are going to focus on Java as the programming language to highlight this concept as Java is better than PHP. Fact (in my opinion). 😉 (cue the haters…). On a serious note though the reason why we’re looking at Java for this example is because it is more suited to using a structured MVC design pattern for projects than PHP is, on the whole, which is due to the separation of the Model (Java classes), the View (JSPs) and the Controller (Java Servlets) which link in nicely together. For the same MVC setup in PHP you will probably be looking at something like the Zend Framework which has been designed to focus around an MVC architecture. With that understanding, let’s look at the practicalities of MVC and why this is such an awesome design pattern that you really need to be using. Before we jump into a few simple examples of using the Model View Controller MVC design pattern, lets first just look at why this is such an awesome design pattern and why you should seriously consider using this for a variety of the web application projects you are working on. Being able to separate the key parts of your web application into the Model, the View and the Controller is an extremely efficient way of working. Being able to separate out the key functionality within your application from the business logic from your application and separating the visual and layout side of your application means that you can clearly focus on the task at hand and work effectively throughout your code. This also allows updates to various points within your web application without impacting the other aspects. For example, you can quite simply make changes to your user interface without impacting the business logic within your application. This is an extremely powerful setup to allow your web application to be modified with ease. As your web applications grows, multiple teams of developers will be working on your application code base to enhance features and functionality. By using a true MVC design pattern, this allows multiple people to work on your code base with ease. As your web application grows using a non-MVC design pattern, you will soon reach the point whereby developers are struggling to work on a project without impacting the work of another developer, to the point whereby this may actually restrict the amount of work that can be completed during any given time scale. This is not a good position to be in and if you reach this point, you will soon see how much more efficient the MVC design pattern really is. The concept of the Controller is designed to take care of the business logic part of the web application so you can build in the logic you require whilst keeping the key functionality separate. This is hugely important as this means that as the development team grows one team can be working on the business logic while another team can be working on the key functionality without impacting the workflow of either team. The above example is purely the Controller which then forwards the request onto the JSP to provide the View aspect of the process, but we have missed one key aspect, the Model. In the example above there are no calls to and Model classes designed to pull in key data, so let’s look at an example where the Model is used before we look at the View part of the process. 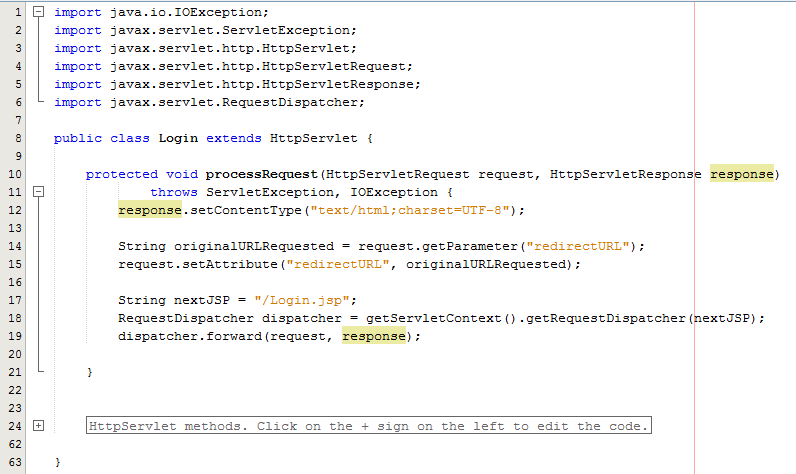 So let’s imagine that whenever somebody accesses the login page, an email is sent to someone. You would never do this in practice as this is just pointless, but this highlights the concept of the Model. In the same context and looking at something more practical, you would use the Model to retrieve some data from the database such as a snippet of text for example which is controlled by a content management system type setup. Never the less, we’ll use this as an example. The functionality to send an email has been broken out into its own class designed to break out the business logic which is “When someone views the login page, send an email” from the actual functionality for sending an email. Looking specifically at the Model class, this is designed to actually implement the core functionality that you require. In this example send an email. From here, you can control specific functionality and separate this functionality completely away from the business logic of the application. Here helps you to work more efficiently by building up a solid and scalable library of core functionality that drives your web application rather than just simply working with a system which contains highly coupled code. Taking this example beyond the simple SendEmail() functionality which is purely focused on completing a specific action in the background, another more specific example would be to collect data from the database which is then sent on to the View which is for the user to see who has requested the original resource. For example, taking the MVC web application to the perfect situation whereby every single aspect of content is purely database driven, the result would be a Model class along the lines of getMetaTitle(url) which is designed for the Controller to generate the correct meta data for the page that has been requested. The Model classes are where the real power lies within your web application. Here lies the true power of how your web application implements the cool features and functionality throughout the entire system. The Controller allows you to do exactly that, control how the Models are pieced together when a specific URL is requested which allows you to create the fantastic experience for your website visitors. As can be seen in the code above from the Controller Servlet, setting the attribute for the data that you wish to pass to the View is the next step in the process. From here, now let’s look at the View part of the MVC design pattern to look at how to retrieve this data in a safe way. 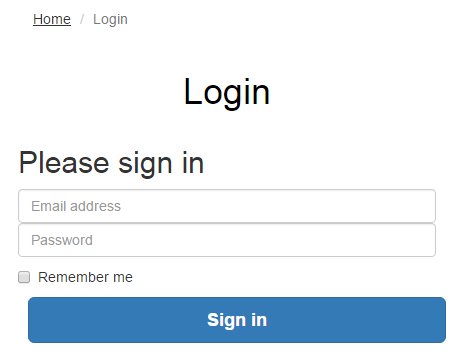 Here we can take a look at the View, login.jsp, which is designed to handle the visual side of the web application. From here you have the ability to retrieve data passed to the View from the Controller and there are several ways of doing this. Simple and effective. The problem here though is that as your web application scales, particularly on an international level, this isn’t the best approach to take as there can be a variety of differences for different locales such as time and date formatting along with currency formatting etc. So lets look at how best to handle requesting data from the Request object and displaying this within the View JSP through the use of the Java Standard Tag Library, JSTL. Sounds simple, right? Well, yes, it actually is extremely simple to use a Model View Controller MVC design pattern when you think through the structure of your code instead of just jumping in and writing code. The difference being is that when you stop to think about the design pattern that you are using within your web application that you can quite easily make huge improvements both now and in the future. The Model View Controller MVC design patter is just one of many extremely powerful design patterns that you should seriously consider using to make your code easier to create, scale and maintain in the future. Hopefully this covers the Model View Controller MVC design pattern in enough detail to understand why this is such a powerful design pattern to use when developing your web applications and also looks at the practicalities of implementing such a design pattern. Sure, you will certainly be writing more lines of code to implement such a design pattern although I can guarantee that you will be creating a much more efficient system overall and a system that is easier to scale and maintain in the future. The key to implementing a great MVC design pattern throughout your web application comes down to planning. You need to be planning this design pattern extremely well and to make sure that your entire development team is working towards the same goals. It is important to discuss these things on a regular basis as this will ensure that everyone is developing code with this design pattern in mind.